At Big Moose, we bring you a rare blend of friendly service and lovely surroundings that successfully reflects our unique personality. Located on Millinocket Lake, Big Moose is the closest full service accommodations to Baxter State Park. Our central Katahdin Region lodging offers easy access to many of Baxter State Park's magnificent natural resources. Our Katahdin lodging packages consist of inn rooms, suites, lakefront and trailside cabins, and campgrounds. 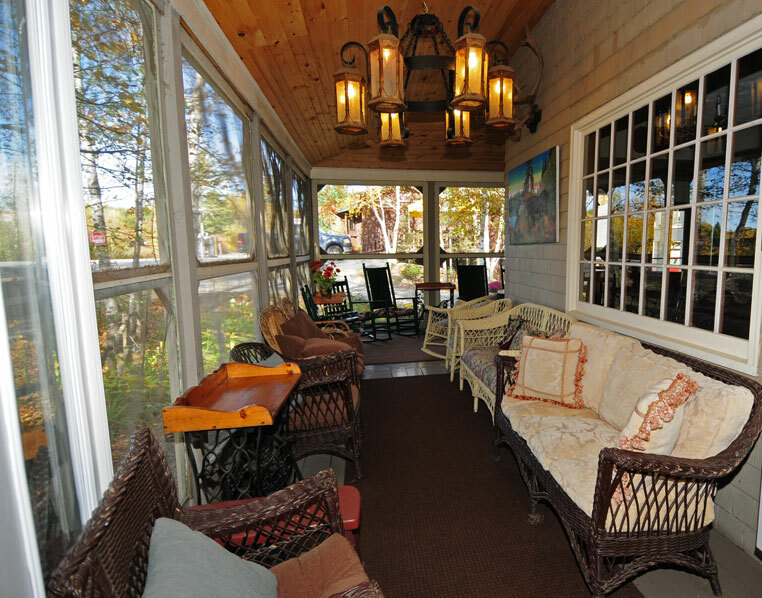 Fredericka's restaurant offers casual fine dining between two lakes while the Loose Moose Bar & Grille offers comfort food after a long day outdoors. Our staff is ready to help you plan your activities in the Katahdin region, contact us at 207-723-8391 or 1-877-MOOSE-INN (1-877-666-7346) or e-mail us at info@bigmoosecabins.com.